Life Application Study Bible has some great thoughts throughout the book of Job on suffering and pain. 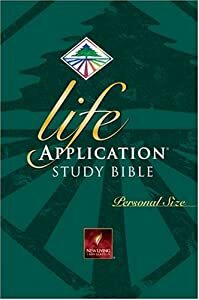 This Study Bible is an important resource every student of the Bible should have on their shelf. Here’s what they say about suffering. Satan’s view —> People believe in God only when they are prospering and not suffering. This is wrong. 3 Friends view —> Suffering is God’s judgment for sin. This is not always true. Elihu’s view —> Suffering is God’s way to teach, discipline, and refine. This is true, but an incomplete explanation. God’s view —> Suffering causes us to trust God for who he is, not what he does. How difficult it is for us to move into viewing pain from God’s perspective. Pain does not come into our life to separate us from the Lord. It isn’t always because we’re being judged or disciplined. If we can get to the point in our lives that we can say every day, “The Lord is good, all the time,” we will be living out the wisdom from the book of Job.